Taking flight, stretching limits… Audacity and determination are essential for launching a destiny and becoming the man that you've always dreamed of being. 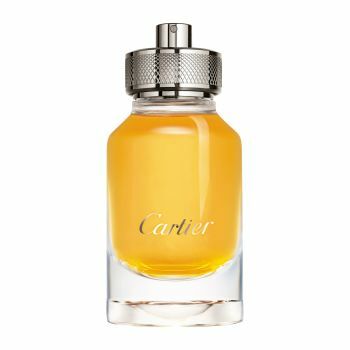 For this kind of hero, Mathilde Laurent, Cartier's In-House Perfumer, imagined an active substance caught in a capsule suspended in glass. Inspired by honey wine, the oriental accord is transparent. Mellow honey and gaiac wood are galvanized by the airy freshness of a vapor-like musk. Get comfortable with the highest circles of influence thanks to this concentrate of elegance.